Thanks to both Ina Garten and Martha Stewart for the help in making this cake. It’s the cake Elvis would have buried his face in. Butter and flour a two 9-inch can pans. In a large bowl, using an electric mixer, beat butter and sugar on medium-high until fluffy, 3 minutes. Add eggs, one at a time, beating well after each addition and scraping down bowl as needed. Beat in bananas, sour cream, and vanilla. Beat in flour mixture and chocolate on medium. Pour batter into pans. Bake until a skewer inserted in center of loaf comes out clean, 50 to 60 minutes. 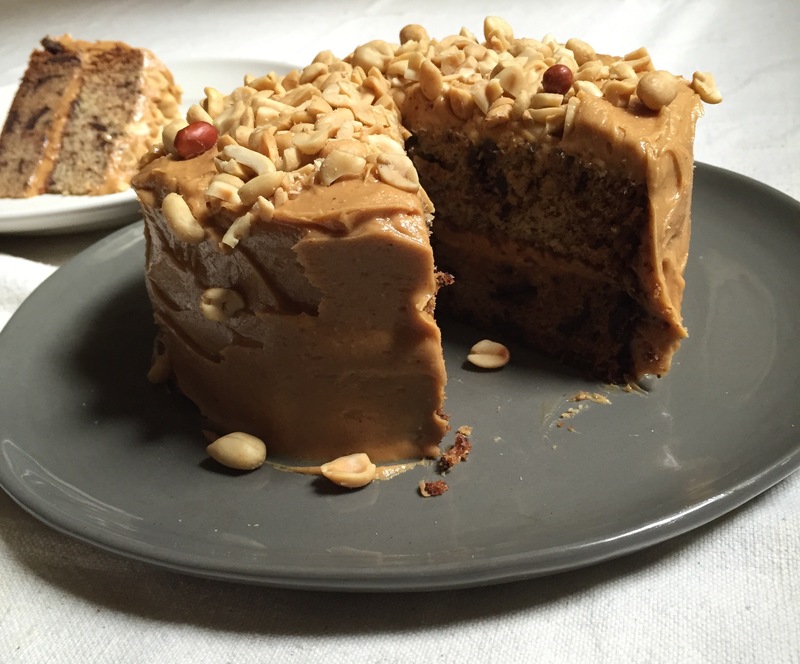 Let cake cool in pan 10 minutes. Remove cake from pan and let cool completely on a wire rack. 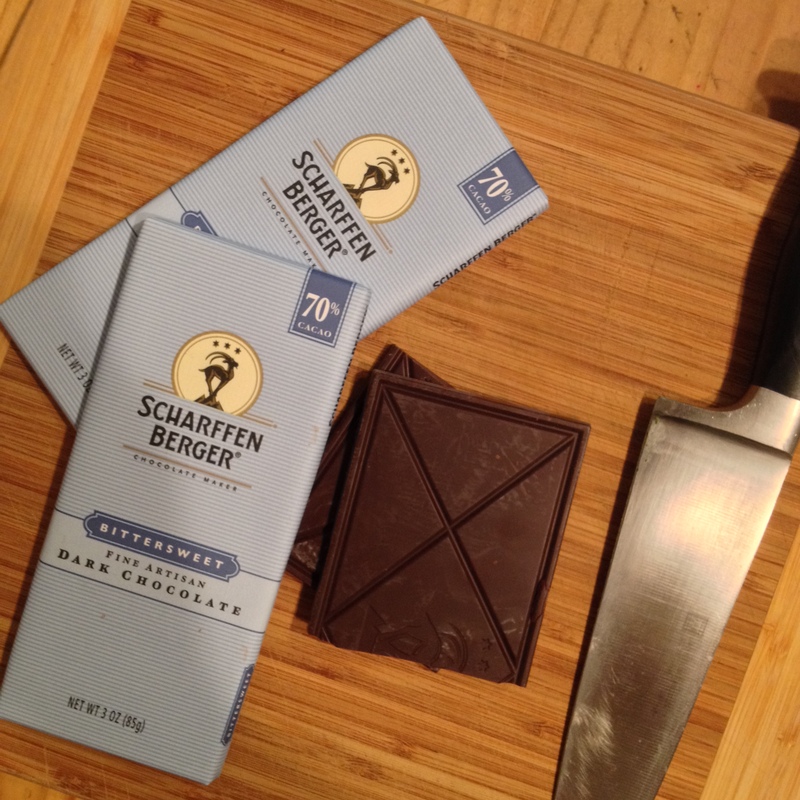 I am a diehard chocolate lover – always have been. Gone are the days when one of the original See’s Candy stores was located just around the corner from me. I bought a pound a week – no joke. Now I buy a variety of small specialty chocolate bars and hide them in my kitchen cupboards for that moment when a chocolate craving hits and there isn’t a layer cake in the house. Most times a small piece of dark chocolate brightens any day. 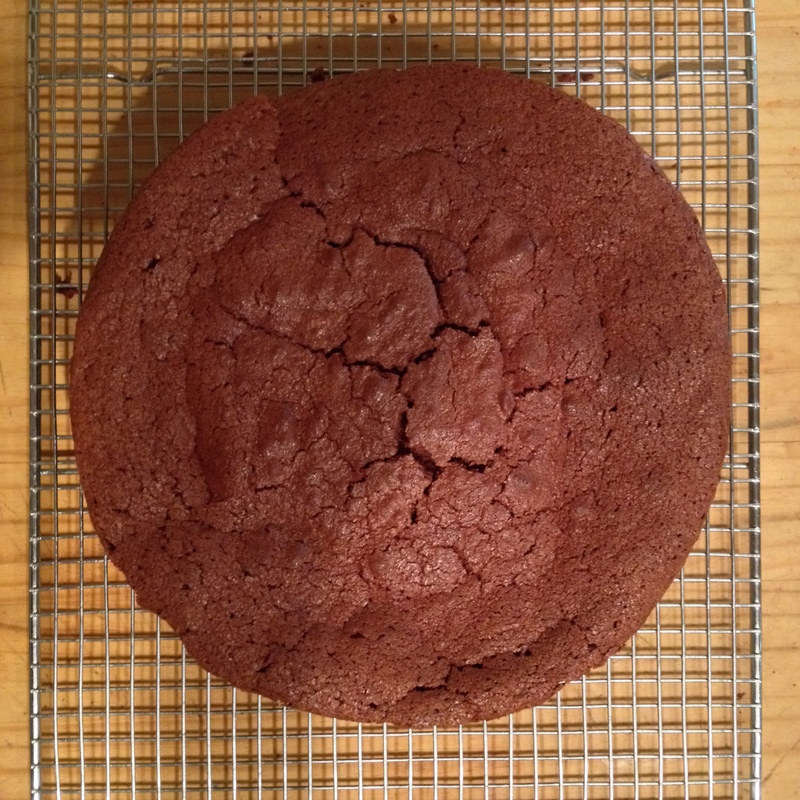 But if I’m having guests for dinner and in the mood to bake – Lindsey’s Chocolate Cake from the Chez Panisse – Cafe Cookbook is the first one I turn too. Lindsey is the founding pastry chef at Chez Panisse and has created many desserts that I have continued to love. My guests always comment that the cake is so light. But, it’s richness is deceiving. Lindsey suggests serving it with lightly sweetened cream, flavored with vanilla or Chartreuse or her recipe for a Sicilian sabayon. During the winter I love to pair it with an orange or tangerine sabayon. Butter a 9-inch cake pan and line the bottom with a round of parchment or waxed paper. Butter the paper and dust the pan with flour, shaking out the excess. Preheat the over to 350*F.
Whisk the egg yolks with a wire whisk until just blended and beat in the sugar until just mixed. 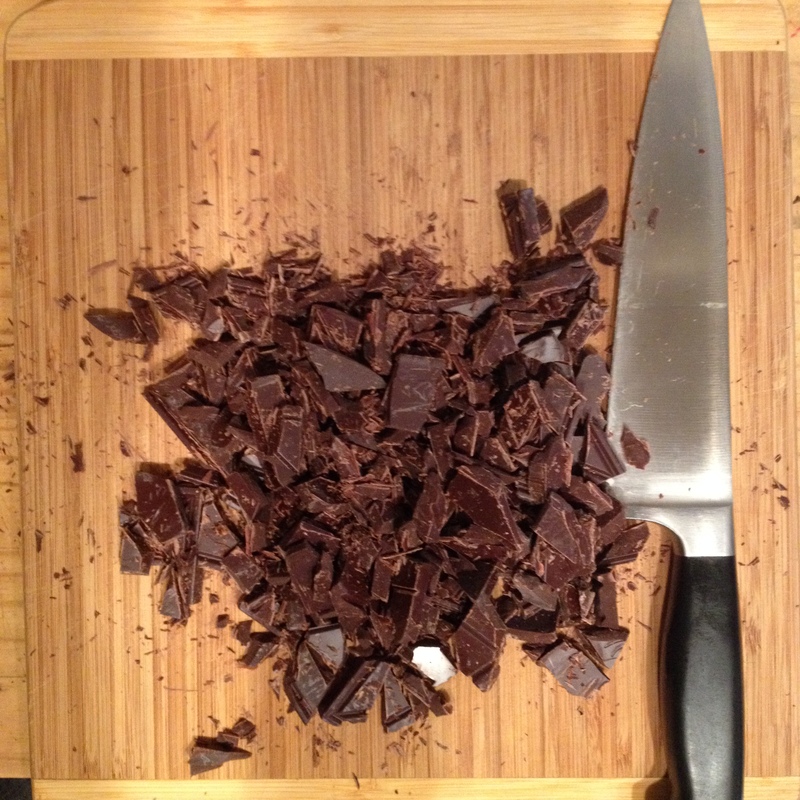 Whisk the yolks into the warm chocolate mixture, and fold in the flour. In a separate bowl, beat the egg whites until frothy. Add the cream of tartar (if you are not using a copper bowl) and continue beating until soft, round peaks form. 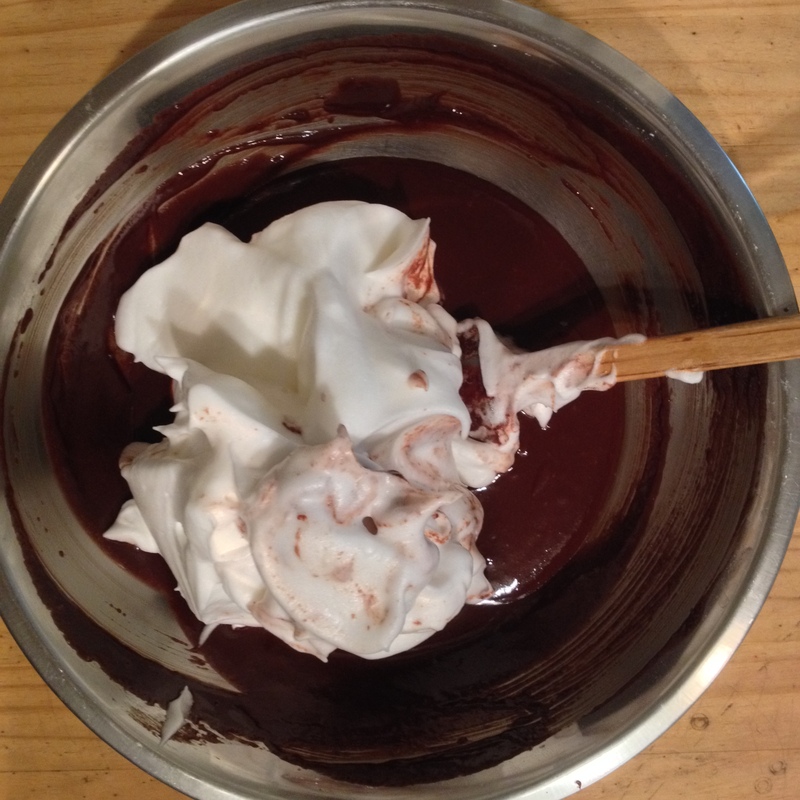 Fold the egg whites quickly into the chocolate mixture, taking care not to deflate them. Pour the batter into the pan and bake for 45 to 50 minutes. The cake is done when the sides are set but the center if the cake is still soft. Remove from the oven and cool completely in the pan. The cake will develop cracks in the top as it bakes, and more will appear as it cools, but this is normal. When the cake has cooled to room temperature, you may cover the pan tightly with foil if you are not serving it right away. It will keep for a day or two. To serve, unmold the cake, peel off the paper, and place the cake on a plate, the more presentable side up. Dust with powdered sugar and serve with your choice of topping.